The Ecological Consultants Association of NSW will be holding a workshop on the assessment of plant communities in NSW. The workshop is designed to provide information to ecological consultants on the processes and complexities of plant community assessment. David Keith, Daniel Connolly, Ron Avery, Michael Day and Mark Tozer from the NSW Office of Environment and Heritage will be speaking on each of the following topics. This year’s annual conference will highlight changes and initiatives for our industry around new legislation, new methods and new technologies. 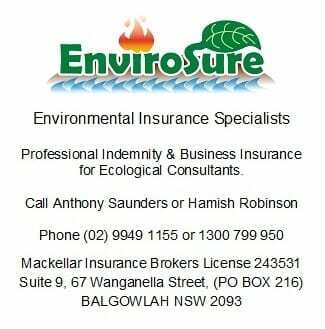 Presentations will address aspects of the NSW Biodiversity Act, Local Land Services Act and Biosecurity Act relevant to ecological consultants. Issues of interest relating to new methods required under these acts will be addressed such as where fauna assessment fits into the BAM, Local Government and their role as a consent authority, Category maps their production and use, and Legal aspects of the BAM. New technologies applicable to our industry will be explained including the use of drones and a new online remote sensing tool .